To Share or Not To Share? 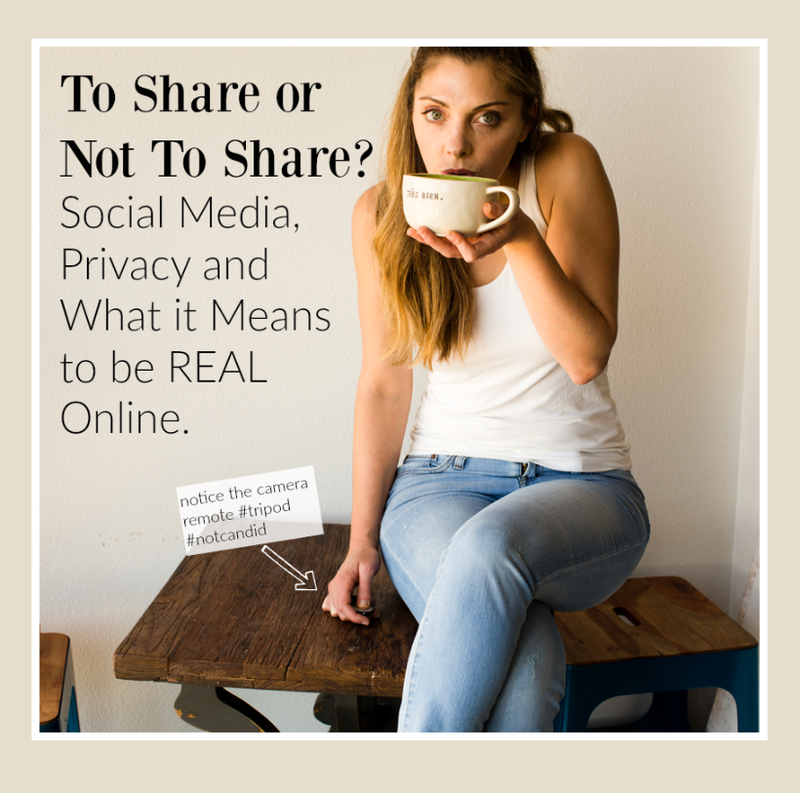 Social Media, Privacy and What it Means to be Real Online. What, where and how much of our lives do we share in this anything goes state of the Internet? I mean, just this week I have watched more than my share of Shia Labeouf's #AllMyMovies. Over-sharing at its finest. Watching a live stream of Shia sit in a dark movie theater, quietly watching films he has been in, with modest reactions here and there, has been strangely addicting. Is this where internet culture is leading us? A perpetual livestream of our lives? As I ponder social media, blogging, vlogging, 'gramming, snapping, streaming and everything in between, I keep asking myself this question.. "Do we need to share our vulnerable, quiet, reflective side of ourselves to be seen as "real people" in the online space?" "Hey tweeps, working on a new "dreamy" play. Fairies, fun and frolicking. #SummerIsComing"
"Oh man the plot twist in my latest love story is going to have you guys buzzing! #StarCrossedSunday #RandJ"
..OK, so he would probably be A LOT more graceful in his sentence structure and vocab, but you get the idea. But would William be tweeting about his personal life? His days of writers block? His inner struggles? His relationship issues? Would he livestream himself acting out his own plays as a new form of art? Or would he simply shun social media altogether? Who knows. But lately I ponder things like this more and more. My Story. I am a blogger. A public person. I have chosen to write about my life online -- in pieces -- mostly through the medium of food, recipes and wellness. If I held this career twenty-five years ago, I would simply be an author, my entire identity tucked away within the confines of your nearest Barnes & Noble, Crown Books or Waldenbooks. My face, story and work only unearthed by those who bought my books, read about me in a local newspaper or met me at a book signing. Private life. Public work. But having this career today, the public space online is where my brand lives and how I communicate with, well, anyone with internet access. Hello World. This modern-day communication phenomenon is true not just for writers and bloggers, but also companies, chefs, life coaches, agents, doctors, actors, personal trainers, politicians, artists, service people, lawyers and beyond. If your career touches other people, you are probably somewhere online. The amount of people chatting online has swelled and popped in the past few years, like a warm fizzy bottle of shaken soda, exploding and frothing over the sides, the fizz just keeps flowing. 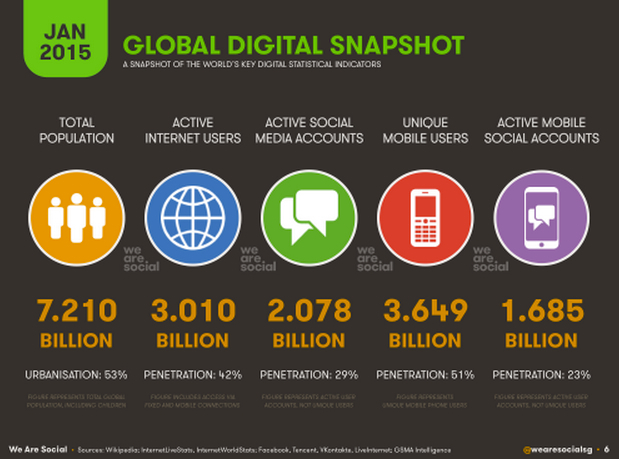 Check out these stats.. Nearly 2.1 billion people have social media accounts..
For the first time ever, in the history of the world, people have the option to be easily accessible, public and candid about their day to day lives to an audience of 2.1 billion people. It is pretty remarkable when you think about how many people you can reach from that tiny phone you hold in your hand. We are sharing thoughts, ideas, stories and art and influencing each other every time we click that "submit" button. And anyone with internet access can participate - right now, social media is free of charge. The door is wide open for anyone to share anything. And people are sharing. We like it. No, no. We LOVE IT. Internet addiction is real. The next time you take a non-wifi enabled airplane flight, just watch how many people dive for their phones after the "you are now free to use your cellular devices" announcement from the pilot. Privacy used to be something that people clung to like a Bible in church on Sunday. They held is close and left it alone. "______ is a private, family issue." Was a common explanation for keeping quiet. But in the past few years "putting everything out there" and "being real" via the internet has become the popular, widely accepted thing to do. Especially among young people. Both people and brands are learning that social media thrives when content is honest, authentic, candid, vulnerable, real, raw and personal. Obviously Shia has mastered this with #allmymovies. Privacy vs. Being "Real." Back to my story. When sharing anecdotes about my personal life online, I am constantly trying to strike a balance between "being candid and personal" but still keeping a certain level of privacy. I do what feels right. Inspiration is born from my heart and soul, and whether or not I actually share those thoughts and feelings -- well that comes from my gut. But even still, the fine line of what I will not share has been slowly changing through the years. Getting more personal. Accepting to invite people closer into my life, my home, my head. This is the trend online. Topics that used to be shocking are now commonplace. People are sharing more intimately than ever. The trend seems to be as real and authentic as possible online. Recent Backlash in Fakeness, aka the UNreal. There is huge backlash for "fake" people and voices online. People who photoshop images, promote products without disclosing, only show the certain sides of their life experience, project unhealthy images or body image standards, etc. Essena O'neill, the Instagram star who royally quit social media and "outed" herself as being "fake," is the perfect example of this. Her story resonated deeply for so many people. *photo credit: Sabrina Hill -- real caption: Yes ok, I always hang out on the deck of someone's ocean-front Malibu house and sip water with lemon in some fancy clothes, vegan heels and full hair and makeup. (scale of 1-10) real factor: 2. Fun factor: 11. Yes, I was actually enjoying myself immensely. But the truth is, this problem is not new. For years, magazine, advertisements and brands have been projecting unrealistic images involving body image, lifestyle, finances, mood and more. Makeup, money and fashion are a part of life. Striking a balance between real people vs. what people strive to be, or what they look like in the best glowy, shiny light of life, is challenging. We all want to have our best self projected to the world while still feeling like we can be ourselves. But we also all want to feel like we will be accepted even when we are not showing our best sides. When the "bad lighting" of life shines on our faces, our journeys. But "being real and open" is not so easy. It is still not the norm. And anyone who tries to be "real" will tell you that critics infest the online space. How Personal Do I Get? Back to me. We are living in the age of the "tell all." People online are more candid and open than ever. You can google just about any life experience and find a blogpost, TED Talk, Youtube video and more talking about it. From eating disorders to drug use, marital affairs, relationship struggles, health battles, parenting woes, teenage troubles and on and on. It is pretty tough to ever feel "alone" in your particular situation nowadays. And that, to me, is the positive outcome of this over-sharing culture we live in. I love the fact that so many people are putting their real, honest, raw stories out there online. Life's struggles are a bit less harsh when we feel less alone. But where do we draw the line? When is a story, tweet, image simply too personal? Telling Your Whole Story. I run a blog called "Healthy Happy Life." From the beginning, my blog goal was to project wellness, healthy-happy-yummy recipes and joy to the world. But is that not real enough? Am I better off sharing the full picture. My bad days, moody moments, struggles with health and more? Well, yes. I too have dabbled in this "real life" sharing phenomenon. I try to be more candid in everyday social shares, but also with writing about big stuff here on my blog. I have had my moments. I posted about my experience losing my beloved cat to cancer, and also about my past struggles with self esteem and an eating disorder. I also see bloggers who are parents, struggling to decide how much of their kids names, faces and lives they post online. How much do we share? Everyone wants to feel relatable. Real. Honest. Whole. Full. But achieving a full circle identity online without spilling all of your soul onto the public pavement, is a very special skill to master. My bottom line question that I keep asking myself..
Do We Need To Show Our Strengths AND Weaknesses to Be Real People Online? What do you think? Do we need to show photos of ourselves without makeup on, or in sloppy workout clothes or with giant bags under our eyes, in bad dressing room lighting or when we are crying or moody or mad or sad? Do we need to post videos of ourselves in a serious tone, chatting face to face about personal issues and emotions? Do we need to tweet about that horrible luck we had or the illness we are getting over or the struggle we are going through? Do we need to show the stumbling sides of ourselves to be real people? Are we making ourselves, fake, by only posting the happy parts of our lives? Or, since when did all the positive, best parts of ourselves become something to frown upon? Aren't we all smart enough to know that the "perfect looking" person doesn't look like that when they roll out of bed? Isn't that obvious? Or is the power of an image so strong that these obvious truths about life are slowly slipping away from us. Maybe our brains are exhausted from perfection and happy. And eventually CRAVE sloppy, mediocre, average, sad and ....real? Privacy is Different for Everyone. The amount of privacy each person needs and craves is very different for each individual. And there does appear to be an age gap. The Age Gap. I see older people really struggling with the lack of privacy online nowadays. Even ten years ago, many of the topics you can find on the "trending" page of Buzzfeed were considered taboo to chat about openly. Nowadays, anything goes. The more oddball, perverse, candid, shocking and "real" the better. People click on those headlines, so websites keep writing them. When the UNreal is a Good Thing. The truth is, I enjoy both sides of the spectrum. The raw honest sharing and also the fantastical, not-real-life stuff. I think that a little "escape from reality" can be a great thing, therapeutic even. I mean, there is a reason why a premium pass to Disneyland is over $1000 nowadays! We crave the escape. We delight to wrap ourselves in fairytales, no matter how sticky sweet perfect they appear. We adore retro sitcoms that end happily in 30 minutes. We declare our love of unicorns and rainbows. We slip into dark theaters to watch super heroes and super lovers twinkle on big shiny screens while our eyes fondly glaze over, popcorn in our laps. In our happy place. Escape, the unreal, fantasy and even "fake" things are in many ways, very real. We are all humans. We all have feelings. We all have good days. Bad days. Hard days. Easy days. Successes. Failures. We can feel beautiful and we can feel ugly. What is "real" or "fake" is completely subjective because the bottom line is we are all real. We share different parts of ourselves, and in the end we have to stand behind the images and thoughts we share with the world. We make decisions everyday about what to share, show, what words to use and what feelings to project. We should be held accountable to the image we put out there. If you don't like your image, you have the power to change it. Essena sure did. And if you are frustrated by social media because you think you are not good at it, or just don't care much, then that is fine too. The online playing field is just another space in our world to interact -- our image"online" should not be the defining point of who we are or how we see other people. I think the answer to the title question posed here today is this: Share what comes naturally to you. And if all else fails, remember we have something pretty great that old Shakespeare didn't have. The delete button. The "remove post" button. The "erase my profile" button, even. And lastly, as a lover of all things fantasyland at Disneyland, I want to make clear how much I love pretending, playing, putting on makeup once in a while, glamming up and basically turning myself into an exaggerated, fancy, not-so-real-but-oh-so-fun version of myself. And there is everything RIGHT about that for me. So lets not get too sensitive about these topics and lose our ability to play. So go forth and enjoy social media! Send your spirit to us in the way you feel most at peace. And hopefully we can continue to create an online world where we each feel real, appreciated, loved, honest, private, beautiful, bold, fantastical, gritty, princess-like, superhero-y or whatever you want to feel from this crazy, beautiful virtual space. *photo credit: Sabrina Hill -- real caption: me, happy picking lemons, with lots of makeup on and in someone else's lemon-tree garden in Malibu. I was actually ridiculously happy. Bonus Blogger Section! I am SO happy to include some input from other bloggers from this topic. 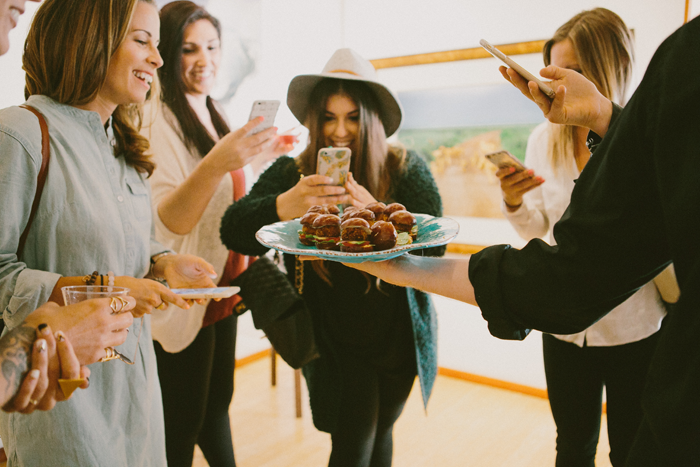 I asked my food blogger friends about what they will NOT share online. I also asked them to share some of their most personal blogposts. Here is what they said..
Susan, Fat Free Vegan: "I won't share anything that violates the privacy of someone else, even my immediate family members, even though the situation may be affecting my own life. I feel that other people's stories are theirs to share, not mine to use as subject matter for my blog, so I have to pass on sharing some really important things that are going on in my life out of respect to others. I'm pretty open about my own experiences, in my own time. My most personal post was about my diagnosis and treatment for breast cancer after being vegan for 20 years: My Unexpected Cancer Diagnosis." Samantha, It Doesn't Taste Like Chicken: "I won't share anything too unappetizing (ehem bathroom talk). Table manners still apply on food blogs in my opinion! haha. Here is a post I wrote on my breakup after a 5 year relationship. I sweated and stressed, and put it off for several months before writing it, but when I finally did, it was overwhelming the amount of support I got from my readers. It really made me feel connected to them:" Breakup, Friends, Summer..
Joy, Blue Ridge Babe: "The responses I received on this post, Life with Anxiety, (that I was terrified to write) really made me feel connected to my readers. It made me feel more free to be myself on my blog/social media accounts. Really one of the best decisions I've made." Pixie,Plant-Based-Pixie: "I won't share anything that involves other people's private lives, even if it's affecting my own. I also don't always want to share if I'm feeling terrible as I know friends and family will see it and I'm not always comfortable with that. This post took a long time for me to write, and even though it's probably not what you would expect, it was sharing something I was scared would get a lot of backlash: Why I'm Controversial in the Wellness Scene." Sarah, Fried Dandelions: "I won't share anything with specifics on our family locations — I don't say where my son goes to school, the name of our church, where we take soccer and swimming lessons, etc. I do share snacks that I pack for school, brunches I bring to church, but never share where my kids are—common sense! I also try to be careful not to share things that might be embarrassing to my kids, or make them feel bad. And I try to keep my husband out of the blog as much as possible—it's my thing, not his. One of my more personal posts is about my son and his food allergies. Nothing private per se, but personal none the less!" Sophia, Veggies Don't Bite: "I'll share any of my stories that I know may help others. If it involved others I always ask first. I won't share too many specifics about the kids, personal info like locations of things in our life etc, but I am open to the point that readers feel connected. For me that's important. I enter their homes with my food and I want that connection to my home too. Here's a post that I actually just updated on our story, including my very personal experience with major fertility problems. A huge topic I am more than happy to openly talk about because I want others going through it to know they are NOT alone. And so many think they are. I wish society talked about it more. - The 90% Vegan"
Cara, Fork and Beans: "I used to be more open about my personal life (as seen in this post - Ice Cream Brownie Sandwiches) and now I prefer to keep a more private stance after 4 years of doing this. That might change as I start a family and incorporate my future kids into my posts (I mean, come on now with the chubby hands!) but for the time-being, I like keeping my business and personal life somewhat separate as I can." Brittany, Eating Bird Food: "I don't share private topics about friends or family members, even if they are affecting me. I am really open with sharing my own personal issues. Here's a good example." Angela, Eat Spin Run Repeat: "Occasionally I share stories about my personal struggles because I want my readers to know that just like them, my life is not perfect. I try to share life lessons that I think they can identify with and benefit from, but am careful about disclosing personal details that would compromise my safety. I also always check with my friends and family before I ever post photos of myself with them on my blog (although it is very rare that I do.) Here's a post I wrote earlier this year that I was initially scared to write, but now am so glad I did: The Biggest Lesson I learned at 26." Richa, VeganRicha: "I have a separate blog for personal posts, which is mostly rants and a place where I do not try to stay politically correct, which becomes a necessity sometimes on the regular blog. I don't share many private stories from the past or present because they are generally culture specific and I think it makes it harder for readers to connect to them. I find it hard to understand the context/expectation from the reader, of some posts on other blogs for the same reason. On Instagram, I do share my location on occasion." Lisa, TheVietVegan: "I'm notorious on my blog for sharing really personal stuff. I only ever include people in my life if they say its okay, and even when I do include other people in my blog posts, the key points of the post still centre around me. I use my blog as almost a journal. Here are two posts that pinpoint my lowest—where I felt the most vulnerable about my long term relationship. And when that ended a month later. It hit me really hard, to the point where I lost control and developed some really unhealthy habits, about which I talk about and share my story here. Some people have talked me to and asked why I share so much, and to me it's a method of catharsis. I've always been a writer, and I've always dissected my thoughts through writing. My personal blog posts have helped me out the worst of my life, and the support and feedback I get from my community has been unreal. I don't think I'll ever not share personal stuff in my posts, not all of them are this intense, but I typically include revelations or anecdotes in my posts." Anjali, vegetarian gastronomy: "I tend to limit myself and do not typically share much of my personal family life (i.e. pictures of my kids, husband, or even of myself). I usually am more general when I talk about my family. However, I do incorporate them into my blog posts from time to time since I cook for my family and they are part of my inspiration and love of cooking and creating. Out of all the social media out there, I am more personal in my day-to-day life on instagram. -- Aside from all this, there is one deep personal aspect of my life that I actually have recently shared about in a handful of my posts and I've found that it has really helped me be real with my followers and my post writeups. I came to a point where I felt like I could not post anymore unless I shared what I was going through, and that was when my Dad passed of lymphoma 1 1/2 ago. After my first post dedicated to my Dad, I felt more comfortable sharing a few sentences here and there after posts when I felt I needed to get my feelings out, and it was very nice to be able to publish my private thoughts and have others read them. This was my very first post dedicated to my Dad. Who is Going to Eat Your Cheesecake Now?" 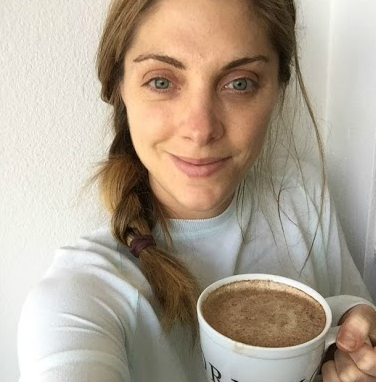 Moran, Vegan High Tech Mom: "I don't share about my day time job, because I work for a well known global company that has its own guidelines about what you should and shouldn't share on social media. On my personal life and my family I am still learning and paving my way as I go, sometimes I share more and others less and I try to see how that feels personally, how do readers react, and how do I feel when I read it a few weeks later (usually silly). I'm find this post to be personal and kind of intimate to me and the way I think and handle things: African Peanut Soup"
Vanessa, Vegan Family Recipes: "I never share any pictures of my husband. He's a very private person and wants to keep it that way and I have to respect that. I also tend not to go into too much detail about my kids. They're not old enough to make the conscious decision on whether or not they want every single moment of their lives shared on social media. The article is a recipe (Lemon Cream Bars) but I talked openly about the car accident I was in my kids. It was therapeutic writing about it and getting such kind feedback from readers." Christy, blissfulandfit: "I'm very transparent, it's always been my policy, but I do like to keep a certain level of "coolness" and do not like to complain about personal stuff publically. Like I was dating a new person long distance and it didn't end very well. I'm not going to talk about that but with close friends. But when it comes to my opinions I'm very open about that lol. One thing I was very open about was a few years ago when I moved back home to get my dad well. 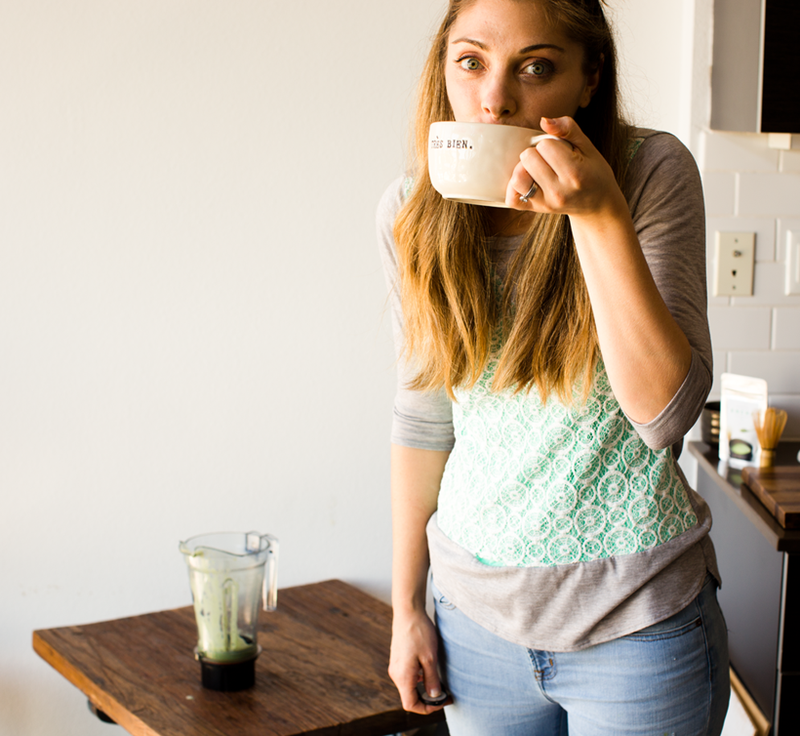 - The Big Announcement -- Green Smoothies Saved My Dad's Life." And finally, My stance. As I mentioned in my post, I do not share photos of my husband. He is a private person and while I do share on Facebook, the internet is a lot less private. I also do not talk specifically about anyone in my life unless I know they are OK with it. Or if it something super casual in mentioning. But I even get sensitive about names of my friends. I know most of them are OK if I mention something silly though. In regards to myself, I try to stay on topic to the areas of wellness and food. If something personal fits under those categories I will consider sharing it -- if it feels right in my gut and I feel I have something worthy to contribute to the virtual conversation online about that topic. And as mentioned before, my two most person posts were this and this. Thank you to all the bloggers who shared! I absolutely loved reading these different and also similar point of views in regard to the topic I have chatted about today. photo credit: sabrina hill - real caption: end of the shoot, I make some avocado toast and loved nibbling half of it. Sitting on the counter in someone else's gorgeous kitchen, tons of makeup on. I am super tired from shooting all day, but still having fun with genius Sabrina.